We're all gonna die. And for most of us, it's going to be unremarkable -- a sudden heart attack or a ho-hum battle with cancer. But some people aren't content to bet that their heart will explode, despite the fact that that's a pretty safe wager. No, some people expect a more fantastical end -- hence the top five lunatic insurance policies. The English overestimated themselves when they levied a stamp duty on the entire Americas -- a petty cash grab that turned into the Revolutionary War. British Insurers learned from that mistake: Now they only take money from idiots. 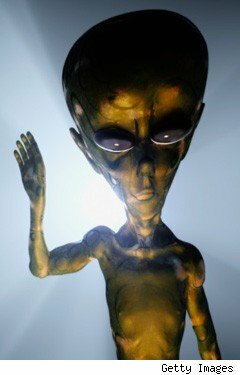 They offered "alien abduction insurance," scoring £2.7 million -- mostly from Californians -- to victims who thought they might be anally probed by extraterrestrials. Managing director Simon Burgess is on record admitting the whole thing's a profitable joke, saying, "Of course, the burden of proof lies with the claimant. Let's face it -- insurance is so tedious that if I can enlighten my dreary life with a bit of humour every now and again, I will." He's able to delight in his enlightenment because probably none of those idiots he sold policies to can read. Check below for more insane insurance purchases. 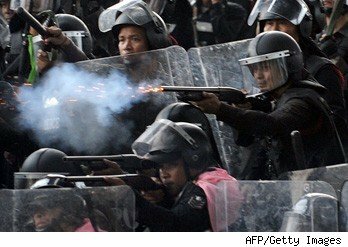 The Thai government is trying to reassure dwindling numbers of would-be tourists by offering "Thailand Riot Insurance," proving that there's no Thai word for "negative publicity." When unrest in your country is so bad that you have to offer a cash prize of £7,800 to random strangers, you might as well fill your airports with hissing tarantulas -- because no one in his right mind is coming. Don't worry -- Japanese giant crabs aren't something you get from sleeping with horrible tentacle monsters without protection. 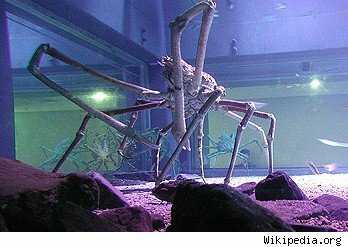 The Birmingham Sea Life aquarium in the U.K. took possession of a giant crab (also known as the Japanese spider crab in case it wasn't horrifying enough), an armored, alien-faced arachnid 10 feet across. Oh, and they call it "Crabzilla." Sea Life officials tried to assure everyone, saying: "He's not aggressive, and they should have nothing to worry about," before taking out a policy against visitor death and permanent disability for over £1.3 million. Call us crazy, but "nothing to worry about" and a million quid insurance policy are seriously mixed messages -- which add up to the alien supercrab ripping your face off. 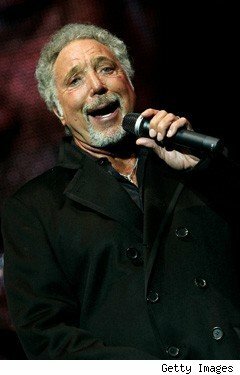 When Lloyd's underwriter Jonathan Thomas was asked to write a policy insuring unknown chest hair, the story was massively reported to be about Tom Jones' £5 million chest carpet. Unfortunately, the articles all cited each other as proof. The hidden hirsute person never took out the policy, so we'll never know who really strokes their pec-rug, with each finger fondling thousands of would-be pounds. Insert your own "It's Not Unusual" joke here -- as long as you promise to immediately give up comedy forever. We're back with British Insurance, which underwrote the expensive virginity of three Scottish sisters. 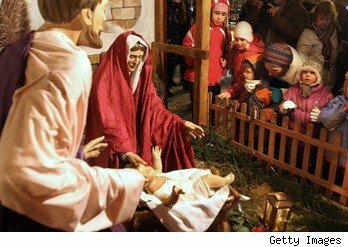 The very Christian and even vainer women believed they were at risk of immaculately conceiving, thinking, If God's going to impregnate anyone, it's going to be us. The sisters paid £120-a-year to insure against it. The payoff was £1.25 million, as well as eternal life, grace, Yea, and Unto the Rapture Comes, etc., etc. Simon Burgess happily took the money until someone, anyone, noticed -- at which point the outrage was so immense he had to cancel the policy. He also claimed that he'd been sending the money to charity all along.